Over the past months we have focused on optimising user experience on our platform and adding some new exciting features. 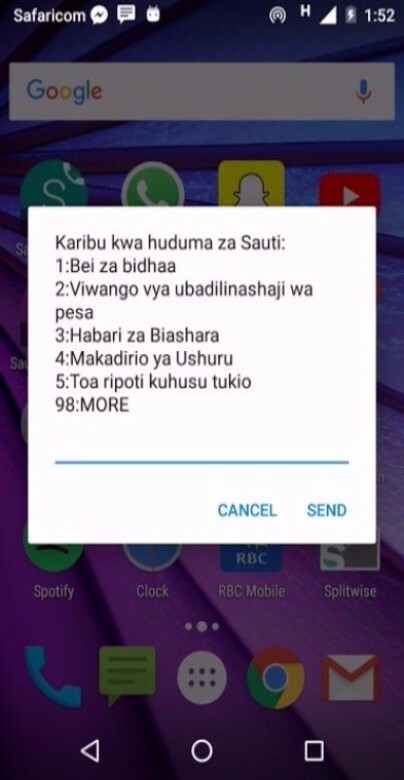 We launched the Swahili version of our platform, making Sauti the first trade information platform available in both English and the official language of the EAC. We will be launching the Luganda version this month. We added new currencies to our real-time exchange rate information service and integrated our platform with MPESA mobile money service, making payments seamless and secure for traders. We now have more than 700 traders across Kenya and Uganda using Sauti and since June we have assisted them with over 4000 requests for trade and market information! As part of our marketing campaign, we have been recruiting and training champion traders. 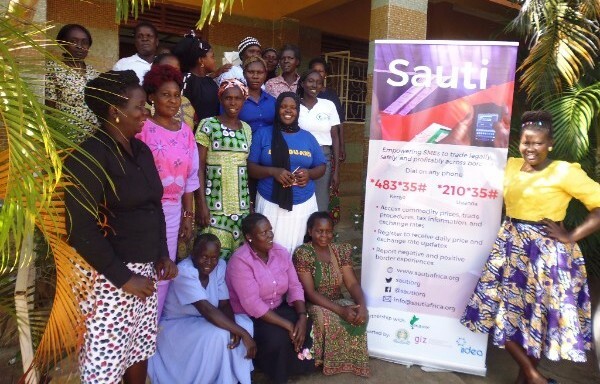 Champions promote Sauti among their local trade and business community by training others on how to use our platform and make best use of the trade and market information provided. Since September the champions have referred over 400 new traders to our platform. We have also benefited from important opportunities to promote our platform thanks to partners such as AGMARK, who invited us to join the launch of the new East Africa Cross Border Traders Association (EACBTA). In the month ahead, we are looking forward to participating in the East African Business & Entrepreneurship Conference organised by EABC, as part of the panel on Gender and Trade, and the UWEAL Annual Women Business Leaders Conference in Kampala. 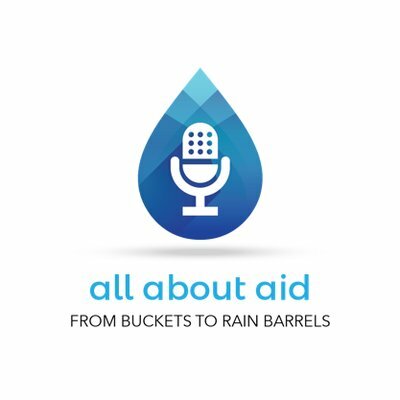 Last month Lance Hadley, Sauti’s Chief Technology Officer, joined the All About Aid podcast to discuss how technology creates new opportunities for economic empowerment in under-represented communities. Listen here! Please visit the platform and send any feedback or suggestions to info@sautiafrica.org or tweet us @sautiorg.